Orange Blossom Honey has an exquisite fruity and citrus flavor. A delicately light and aromatic honey, reminiscent of blossoming orange groves. This premium raw Orange Blossom Honey is 100% pure, natural, unpasteurized and unfiltered, fresh from thriving beehives. Carefully harvested to preserve all the nutrients that nature intended, providing the highest possible levels of live enzymes, vitamins, minerals and antioxidants as a functional whole food. 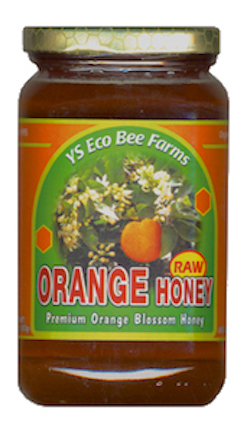 Enjoy the delightful taste and benefits of our premium raw Orange Blossom Honey!